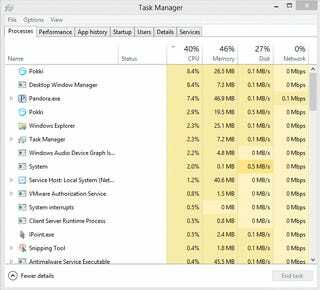 If you're running Windows, chances are that you've pressed CTRL + ALT + DELETE at some point to find out what process was responsible for bringing your computer to a crawl. Maybe it was Microsoft Outlook, possibly Microsoft Security Essentials or AVG, Google Desktop, or any of the HP bloat-ware that comes pre-installed on every HP desktop/laptop. But what if you could stop some of those applications from starting with your computer in the first place? 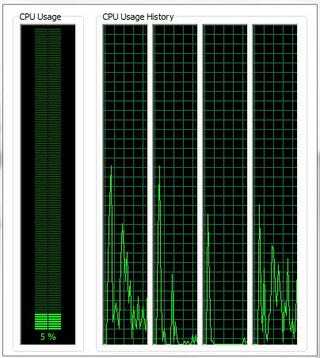 If you're running Windows 8, press CTRL + ALT + DELETE and select "Task Manager" from the options screen. Note: I want to take this moment to warn you if you're following along... The MSCONFIG application gives you access to all kinds of under the hood goodies, which means you can really mess up your computer if you make a change without knowing what you're changing. Sometimes, even when you do know what you're doing. Be careful. 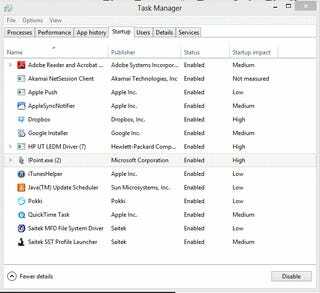 In both Windows 7 and Windows 8, click on the "Startup" tab to view a list of applications that startup with your computer. Removing some of these, like "Intel Common User Interface" by unchecking them (in Windows 7), or right clicking and selecting disable (in Windows 8) would be bad. That's because some applications rely on that application. But I could uncheck Pandora and all that would happen is Pandora may take a few extra seconds to startup when I want to listen to music. If you're not sure what an application is or whether or not it's safe to disable it, check it out on Google.com. There isn't an application I've found running on a client's machine yet where I couldn't find an article or blog post describing what that application does using Google. Note: If you see something that looks like it's name was generated with random characters (such as lkjnevuiv.exe, asdf88sdf2.exe, etc...) as an application under your startup tab, chances are that your computer is infected with some kind of malware. Immediately do a search on the application name using Google. You will probably find a description of the malware that created it and possibly even good directions on how to remove it. As you spend more time in the startup tab of MSCONFIG, you'll notice some applications that put themselves back into startup regardless of how many times you kill it. MS Messenger was notorious for this back in the day. Now it's iTunesHelper and Office OneNote. If you're the kind of person who waits until after the credits finish rolling to catch Easter Eggs, you're in luck. Easter Egg: MSCONFIG existed in Windows XP too. I don't have an XP machine to grab screen shots or I would have added it to the list. You can pull it up by running MSCONFIG.exe from "run" under the Start menu. Granted this Easter Egg wasn't as cool as the one at the end of Iron Man 3, but it's something.